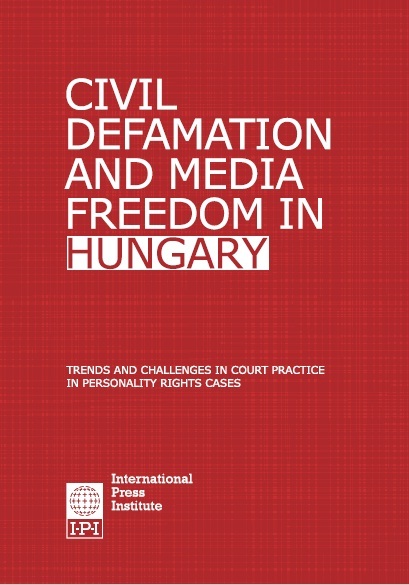 This study analyses current trends in civil defamation and privacy cases in Hungary involving the media and summarises key challenges for freedom of the press and expression. Written by Hungarian media lawyer Bea Bodrogi, the study examined 250 court decisions related to civil protection of ‘personality rights’, an area in Hungarian law that includes defamation, privacy and personal image. It also reflects interviews with in-house media lawyers and judges. The study, part of the International Press Institute’s (IPI) research on the use of defamation laws in Europe, also summarises the effects of changes to civil defamation law introduced by Hungary’s new Civil Code (2014).